Round Robin – 51 videos of individual performances by PMN members! This panel discussion will feature a group interview of Charlie King, Bev Grant and Elise Bryant, three elders who have spent their adult lives advancing social justice causes through music, and building organizations that support this essential work. Radio host Sonny Ochs and 2016 PMN Artist-in-Residence, Joe Jencks, will conduct the interviews. The purpose is to convey the life lessons from elders in our community who have made great contributions to the endeavor of doing activism through music. Charlie King has been at the heart of American folk music for over half a century and has been writing songs for more than 40 years. 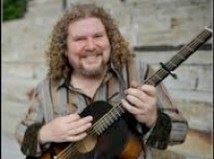 His songs have been recorded and sung by other performers such as Pete Seeger, Holly Near, Ronnie Gilbert, John McCutcheon, Arlo Guthrie, Peggy Seeger, Chad Mitchell and Judy Small. He cites as musical influences the folk music revival of the 1960’s, the civil rights movement and the Vietnam War era. He is a member of AFM Local 1000, and he is a co-founder of People’s Music Network. 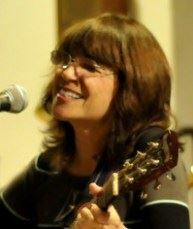 Bev Grant began her performing career as a child in a band with her two sisters. After moving to New York City, she devoted herself to topical songwriting and social activism, notably in her band The Human Condition. Bev is featured on the Grammy-nominated Best of Broadside album and is the founder and director of the Brooklyn Women’s Chorus. Her song “We Were There” has become an anthem of women in the labor movement, and many other of her award-winning songs can be found on her numerous recordings. She is a long-time PMN member. 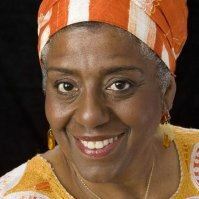 Elise Bryant launched her labor arts career as the artistic director of the University of Michigan’s labor theatre project, Workers’ Lives/Workers’ Stories in 1982. As a consultant, her areas of expertise include Communication Skills, Leadership Training, Teaching Techniques, Labor History and Culture, Diversity Training, Organization Development and “Arts as a Tool for Organizing”. In 2014, she became the executive director of the Labor Heritage Foundation in Washington, DC. She is member of the Industrial Workers of the World, AFM Local 1000, and CWA/Newspaper Guild Local 32035. In 2012 she received the Lifetime Achievement award from the international organization, United Association of Labor Educators. This concert is jointly sponsored by Peoples Music Network, working through music toward a better world for all; and The 8th Step, America’s oldest, continuously running, nonprofit coffeehouse & concert stage. If you are not registering for the PMN Winter Gathering, tickets are purchased through the The 8th Step, using the link above. 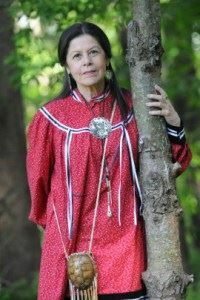 KAY OLAN (“Ionataiewas”), Mohawk educator and storyteller, has spoken for over 25 years about the Haudenosaunee (Mohawk). She is former director of the Mohawk community of Kanatsiohareke (near Canajoharie), where Mohawk elder Tom Porter is leading a linguistic, cultural and spiritual resurgence. In 2009, she won the Jigonsaseh Women of Peace Awardfor her efforts to promote harmony and understanding through education of Haudenosaunee culture, values, language, and tradition. 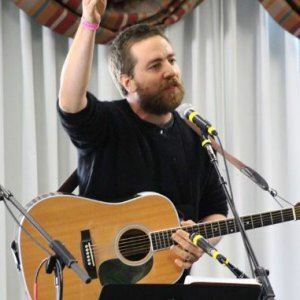 BEN GROSSCUP performs songs of struggle and social critique in the tradition of Pete Seeger, Woody Guthrie, and Phil Ochs. His songs make no apology for their biting critique of current events. Based in Greenfield, MA, Ben is the executive director of People’s Music Network, and has been a PMN member since 2005. CHARLIE KING is a musical storyteller and dead-on political satirist who sings and writes passionately about the extraordinary lives of ordinary people. Shaped by ’60s folk music, including the protest songs of the Civil Rights and Vietnam War era, he has been at the heart of American folk music for half a century. In 1977 he co-founded PMN with Pete Seeger and others.